We also have Alice Hadley's notes on the family histories of most families living in Dunbarton around 1930. Can't make it to the Library? We can provide *limited* research service. Email us for details. for additional research services and information. Interested in hearing several Dunbarton natives tell their family histories? loaded a few videos to YouTube. 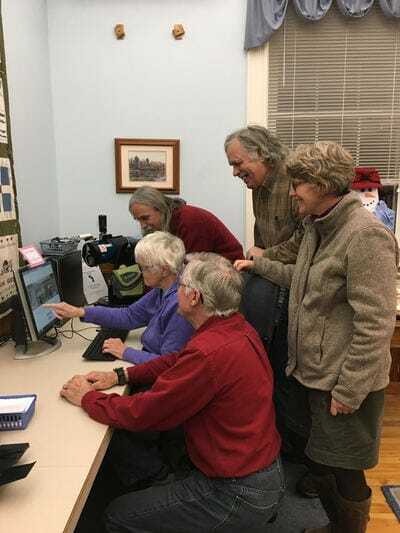 Interested in reading old Town of Dunbarton Annual Reports? Click HERE to view UNH Digital Collections. 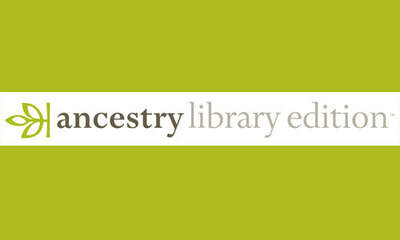 The Dunbarton Public Library has a subscription to AncestryLibrary Edition. This resource is only available in-library. Please drop by the library during open hours to use this wonderful resource! Call ahead to block out a time period for your research. We even have a volunteer willing to help you with your searches. Ancestry Library Edition provides access to genealogy resources, historical photos, local narratives, census records, oral histories, indexes and other resources in thousands of record sets that span from 1500 to 2000's, including Canadian Census data.